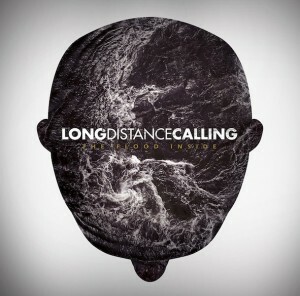 January 11, 2013 (Los Angeles, CA) — LONG DISTANCE CALLING has released a free download of their new song, “Ductus.” This is the first track to be revealed from their upcoming album, THE FLOOD INSIDE. To download the track, all fans have to do is go here and enter their email address. While half of the album features new vocalist Martin “Marsen” Fischer (Pigeon Toe, ex-Fear My Thoughts), “Ductus” is a full instrumental track that showcases the epic feel for which LONG DISTANCE CALLING is known for. Fans should stay tuned as the band will be releasing the first new track with vocals in the very near future. THE FLOOD INSIDE will be released on March 5, 2013 in North America as a digital only release via Superball Music. The album will be out March 1, 2013 in Germany/Austria/Switzerland and March 4, 2013 in Europe. In support of the album, LONG DISTANCE CALLING will embark on the European “The Flood Inside” Tour 2013. A list of dates can be seen below.